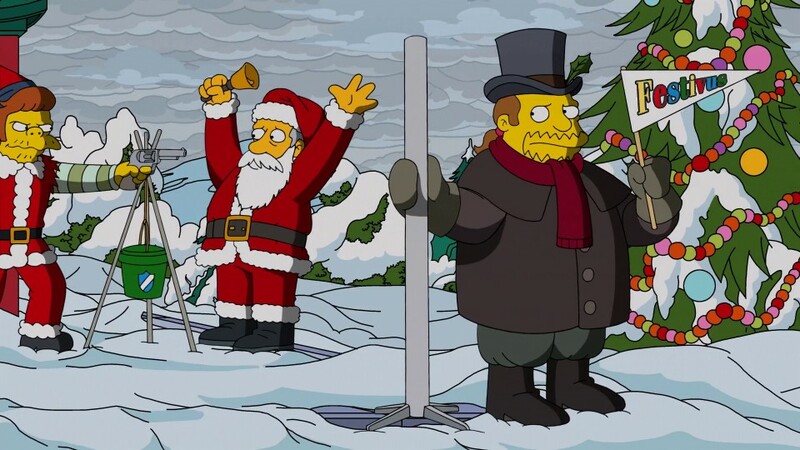 Couch gag: Frozen reference, Lisa creates a massive ice-spike. 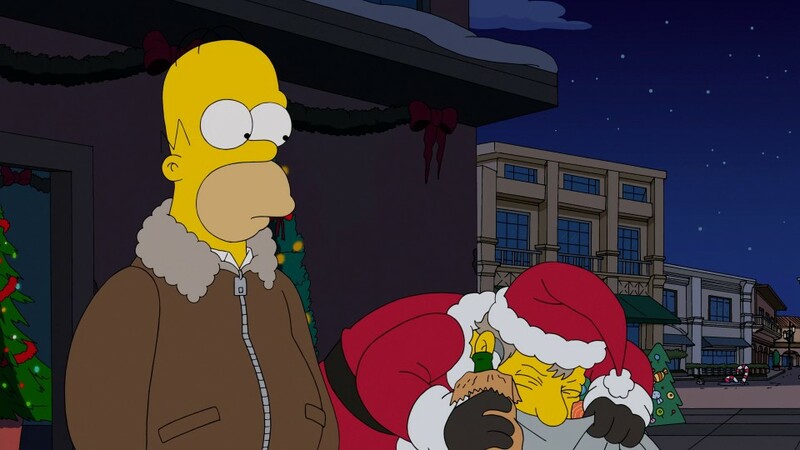 Plot: Homer is too late coming home on Christmas eve, and is sent out by Marge. 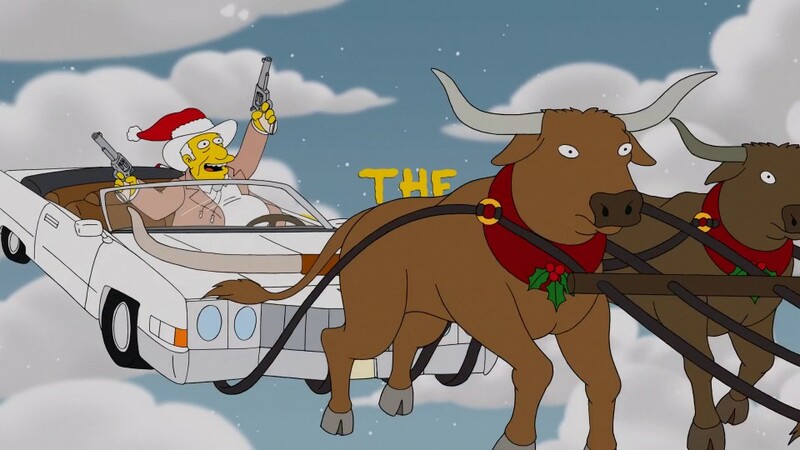 He roams the streets while Marge goes out looking for him. 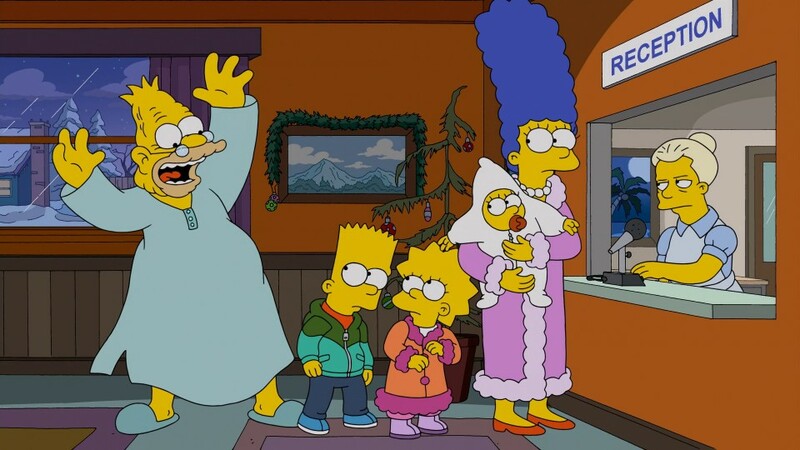 • Marriage problems is my second least favourite way to drum up a storyline (the worst is Bart being caught stealing) and Marge being angry is REALLY unenjoyable to watch. However, surprisingly they literally address and resolve this exact situation! 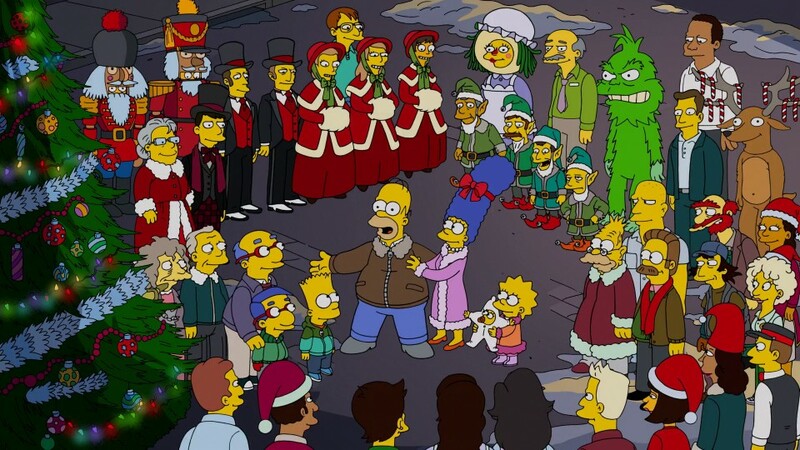 Marge pledges to ‘stop assuming he screwed up, because there’s usually either a good explanation or a crazy one that’s pretty entertaining’, which is great. I’ll hold you to that, writers! 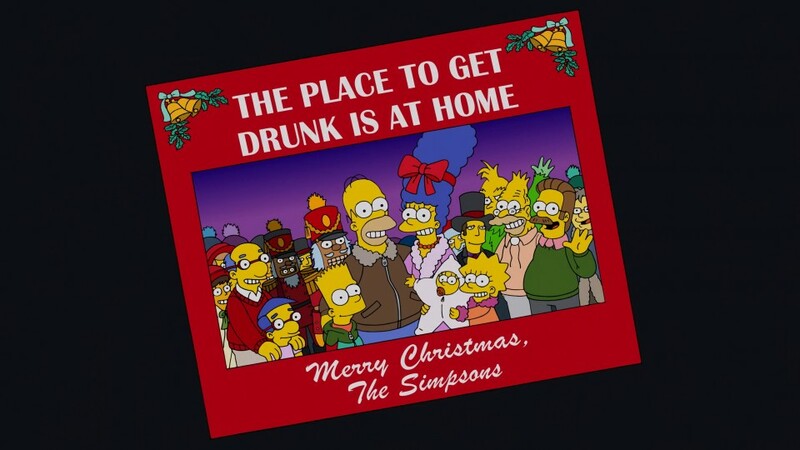 • It’s great that the kids show awareness of their parents’ marriage problem (Lisa doesn’t want to be a jaded 10-year old like Bart) and prods Marge to make amends. 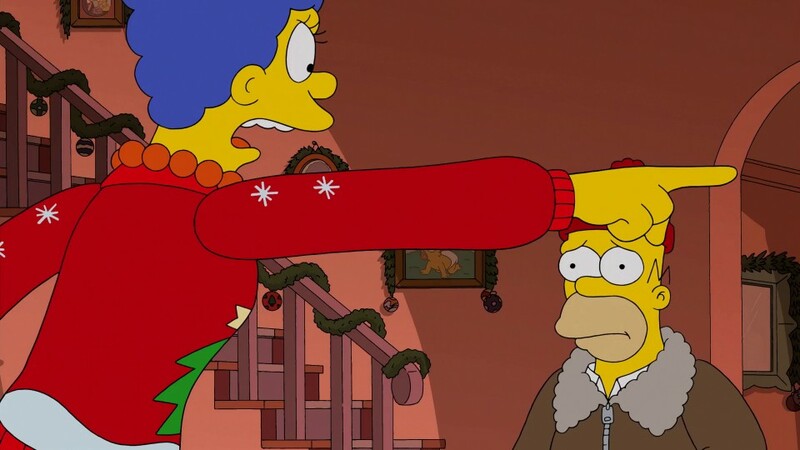 For her health Marge needs to make peace with Homer being a screw-up, and she does. • Moe admits keeping Homer late was his fault, and ‘Midge’ thanks him, going to kiss him on the cheek, which he turns around into a kiss! 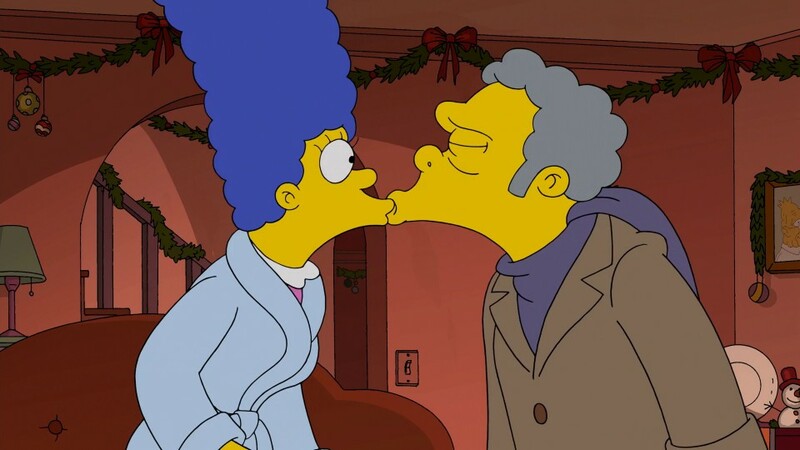 Score Moe, that’s the best you’ll ever get from her! 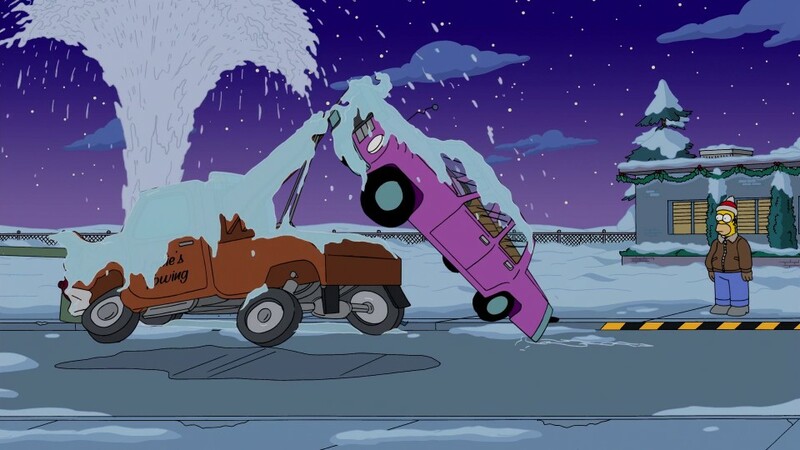 • Homer’s tow-truck immediately smashes into a fire hydrant that sprays water, freezing & encasing both cars instantly in ice. Hilarious calamity. 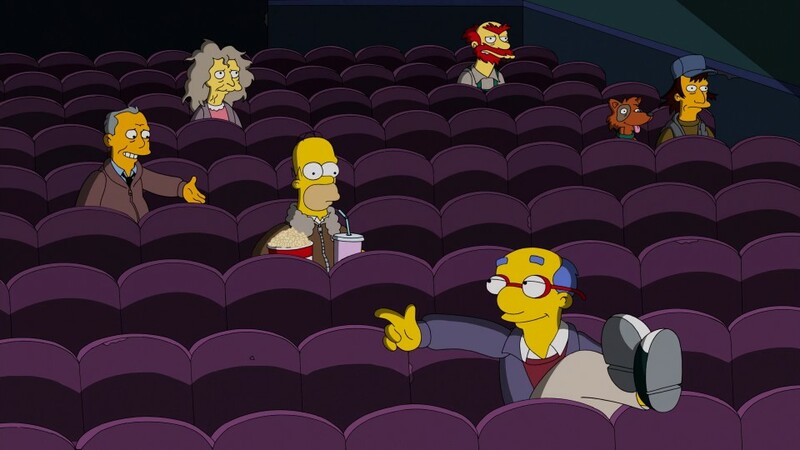 It reminds me of when Homer failed to skateboard across Springfield Gorge and is put into an ambulance, which immediately crashes into a tree, sending his bandaged body back down the cliff. • Portraying Jesus as a stroppy teenager is great. • Wraps up with a nice, smulchy ending and a quick Halloween skit. 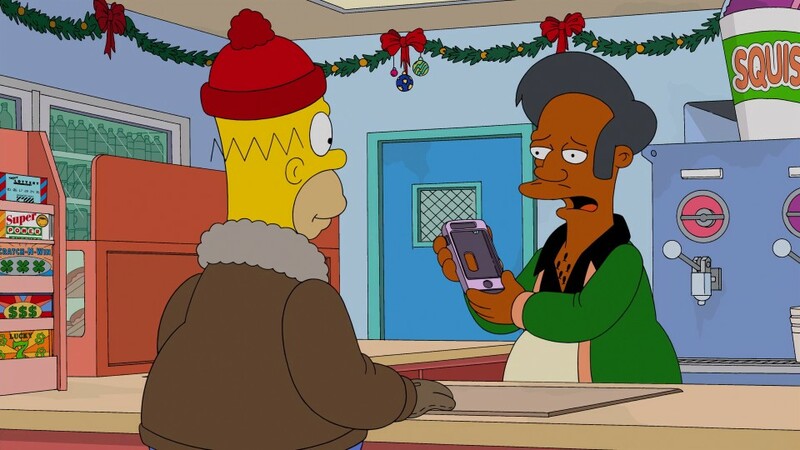 Apu: If you’re here for a last minute gift, here’s a cell phone holder that won’t fit any cell phone made after 2002. 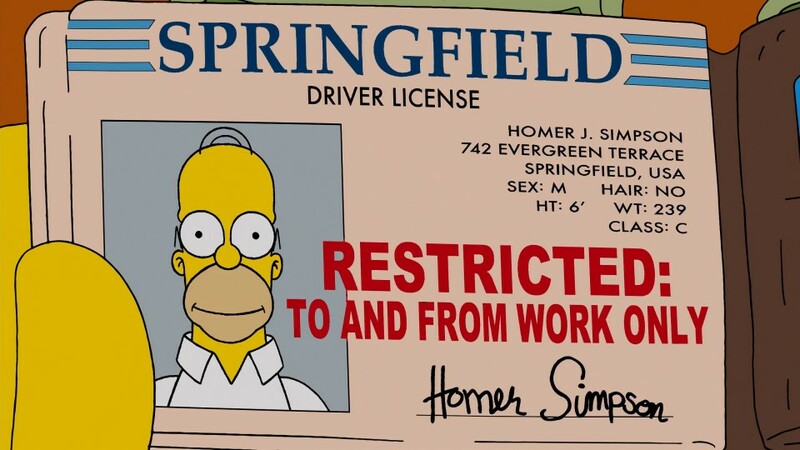 Moe (looking at Homer’s Driver’s Licence): 239 – who’s he foolin’? 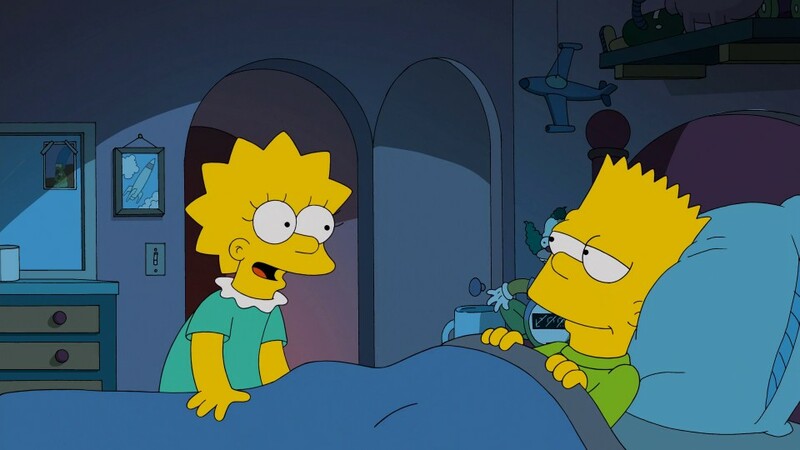 Bart: I need to get to sleep. Tell me the story of jazz again? 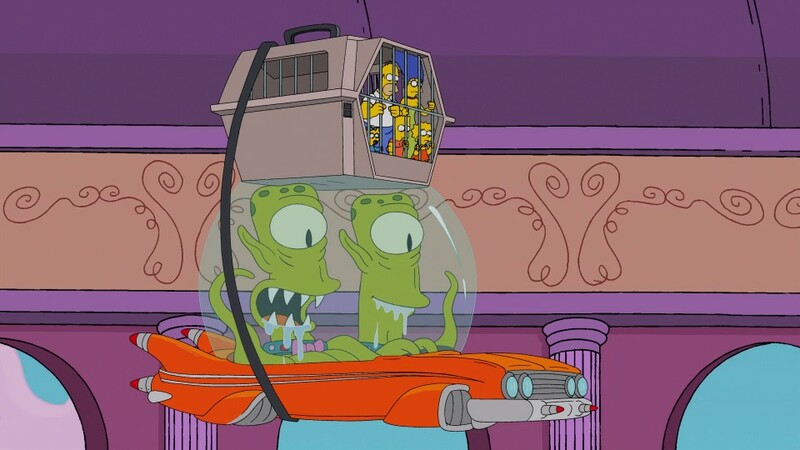 Marge (to receptionist): Abe Simpson, please. 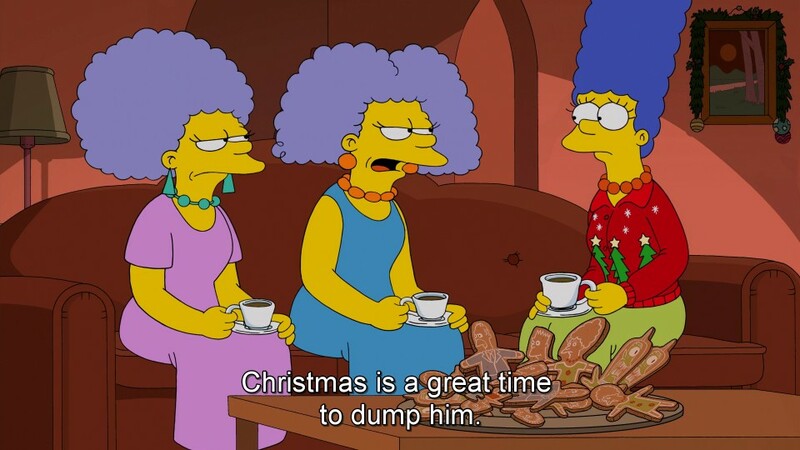 Marge: I think we could enjoy listening to a little of your wisdom. 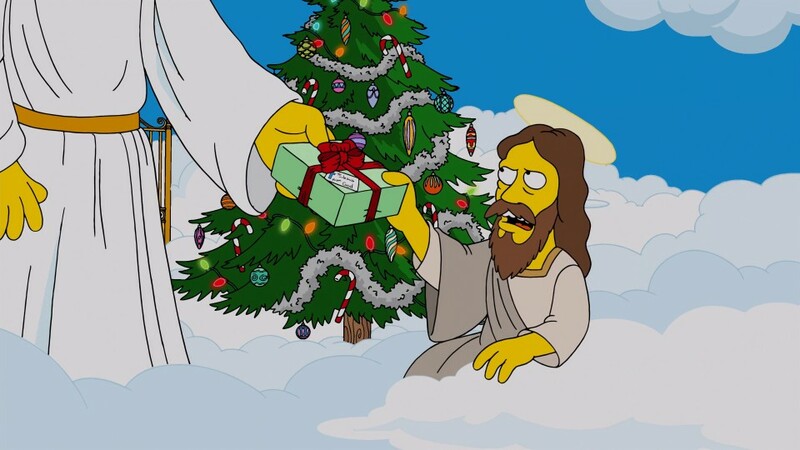 Jesus: Uh – don’t you mean ‘Happy birthday’? Overall: There’s actually a solid amount of good jokes in this one, and the annoying storyline premise is resolved perfectly. It’s no classic but good stuff!